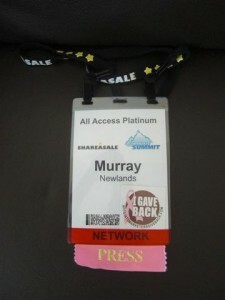 I have just had another wonderful Affiliate Summit thanks to Shawn Collins and Missy Ward. I want to say thank you very much to both of you for all the hard work you put into setting up the event, and also for the hospitality you show during the event which gives it the great atmosphere it has. I enjoyed it very much and I know lots of other people who feel the same way. It is a credit to you that the show sold out long before the first day, and that is all down to what you two do to make it special. Thank you for all your support, Murray! It’s always great to see you. It was great meeting and chatting with you at ASE 2009! I’ll be in touch. Murray, it’s always a pleasure having you at the show. Thank you so much for all of your support and for the great information and interviews that you put forth in your blog! Thank you so much again for a wonderful show and commenting on my blog.